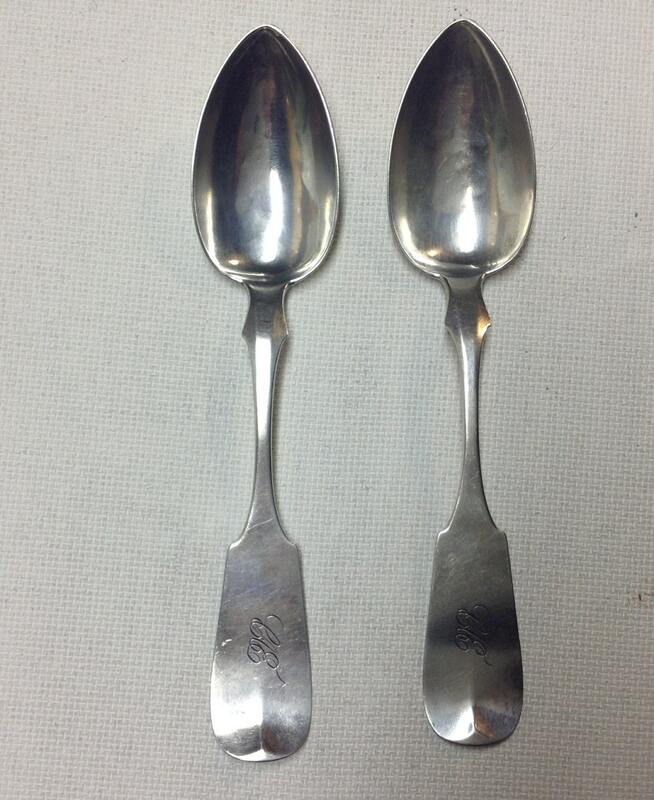 Classic pair of large early American spoons. 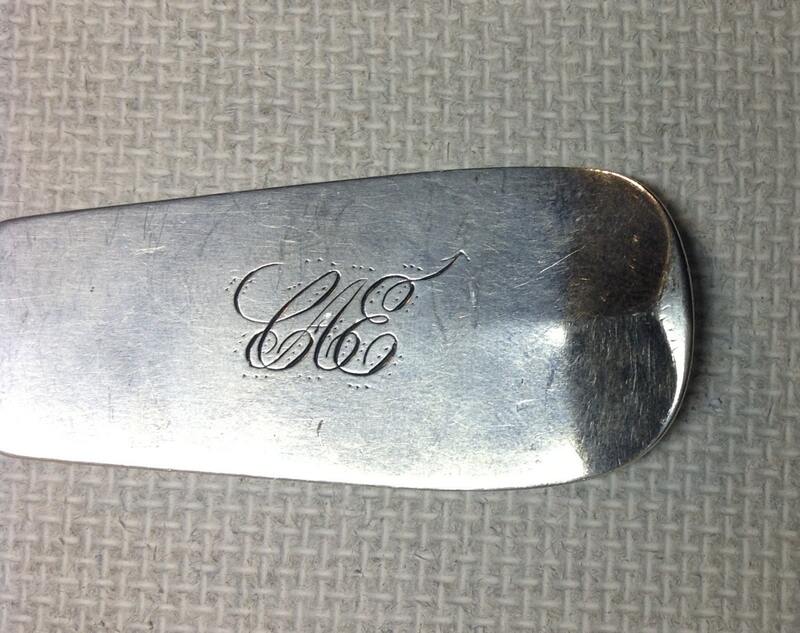 These fiddle backs are nicely monogrammed "CAE" in a fancy script. These are attractive, early and large scale pieces. 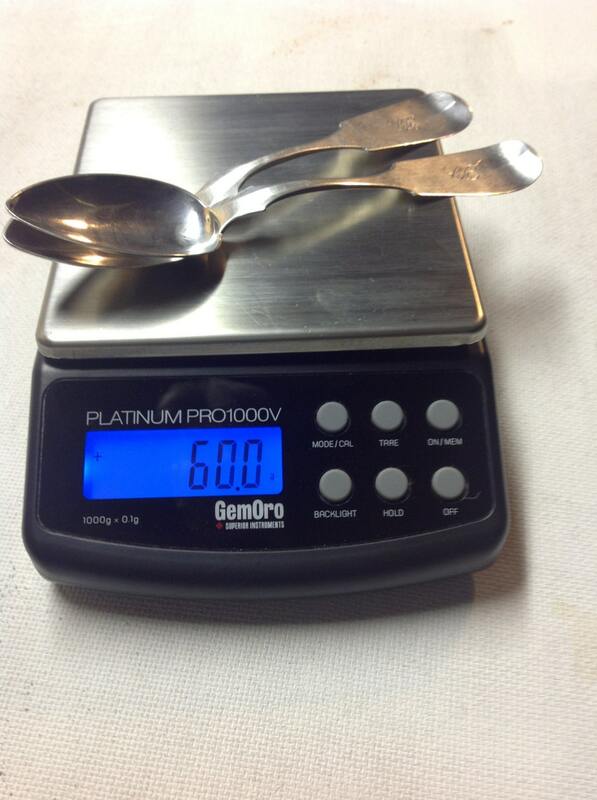 Sometimes I believe the mark of a good silversmith is the care and precision to not waste silver. 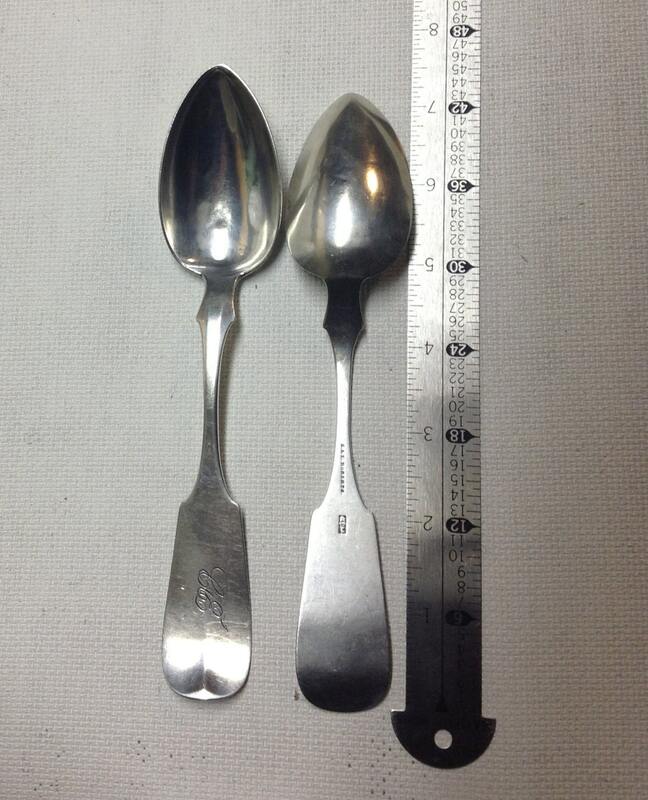 These spoons are good evidence of that weighing precisely 60.0 grams. These makers exhibited in Philadelphia but were possibly working Trenton, NJ. 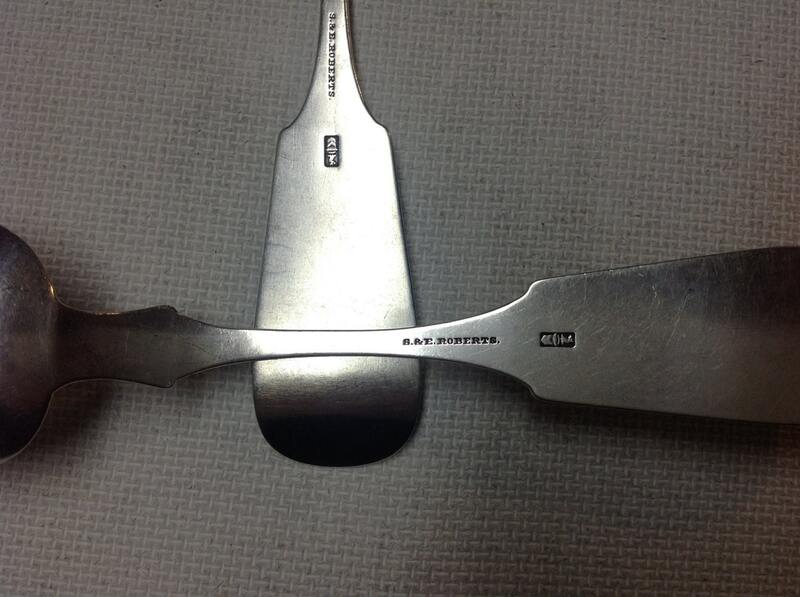 Length is 7.25".